It had been a frustrating weekend for Scott Pulcini as he found himself in Las Vegas contesting a large handicapping contest at the Wynn – with no luck. Sticking with it would ultimately ensure Pulcini another chance to strike it rich in Las Vegas, as he would go on to secure a seat in next year’s DRF/NTRA National Handicapping Championship by winning the first DerbyWars NHC Qualifier on Saturday evening. Pulcini (‘iceiam33’) was forced to play in the DerbyWars NHC Qualifier from the confines of the handicapping contest epicenter of the Wynn Resort, which can be a loud and somewhat distracting environment in Pulcini’s view. 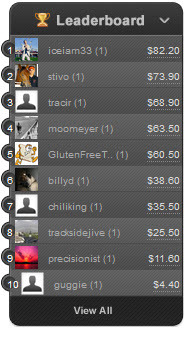 That may have helped to explain the slow start Pulcini got off to in the DerbyWars NHC Qualifier. In a contest consisting of twelve races, Pulcini was sitting on a $0 bankroll through the first seven. That had Pulcini well behind Eric Moomey, who had occupied the top spot throughout all the early stages of the contest. Moomey (‘moomeyer’) was the only player to have selected Assateague in the first race of the contest, which netted him $49 and a substantial lead. That lead would grow to $63.50 after just two more races, psyching some of his opponents out from the get-go. “Merv can start writing the press release now,” remarked at least one player, sardonically. “There’s still a long way to go!” replied the dashingly handsome chat moderator, encouragingly. Things would pick up for Pulcini quickly as the contest shifted exclusively to Del Mar for the final five races, starting with Del Mar’s fifth race (the eighth race of the contest). It was in that event that Pulcini selected You Know I Know, a 10-1 shot which would add a healthy $33 to the bankroll. It was a start, but it wasn’t enough to strike the front. Pulcini would still need one or two more salty selections to catch Moomey and the others. His hopes would be kept alive as Meinertzhageni finished second in Del Mar’s 7th race, adding $11.40 to his bankroll and putting him within striking distance. The separator came in Del Mar’s 8th and featured race, the Clement Hirsch, when Lady of Fifty surged to the front coming into the stretch en route to a convincing victory at odds of 10-1. That filly would add $33.40 to Pulcini’s kitty and give him a slight $3.90 edge over his closest competitor, Steven Simonovich (‘stivo’). But he still had one more race in which he had to maintain that modest lead. Lady luck, despite having been an antagonizing jezebel toward Pulcini for most of the weekend, would smile on his fortunes in the finale. Not only would Pulcini’s selection finish second and add a paltry sum to his bankroll, but the winner of the race – Chibita, who would have added $26.40 to any player’s bank account, an amount sufficient for numerous players to have passed Pulcini – went unselected by all eleven contestants. Pulcini will be attending the DRF/NTRA National Handicapping Championship for the first time next January as a result of this weekend’s victory. He is excited about the opportunity and is bullish about his chances. Pulcini hasn’t decided whether or not he will pursue a second NHC tournament entry, having recognized that he retains a sharper focus when playing with a single entry. 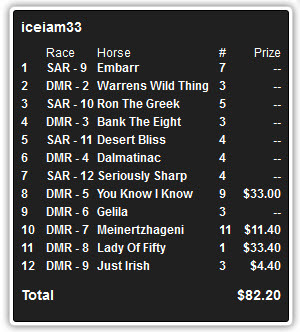 That being said, he still plans to play in future DerbyWars NHC Qualifiers – just in case. Pulcini was introduced to racing by his grandfather during his teenage years, frequenting Balmoral Park just outside of Chicago. He is a handicapping contest veteran, having honed his skills in the game of skill for roughly 20 years. But some of the largest rewards Pulcini has reaped have come from the pari-mutuel windows, including a sensational week at Del Mar back in 2004 which saw him hit two Pick 4 tickets, each of which were well into the six-figure range. Everyone at DerbyWars wishes Scott Pulcini the best of luck in Las Vegas! 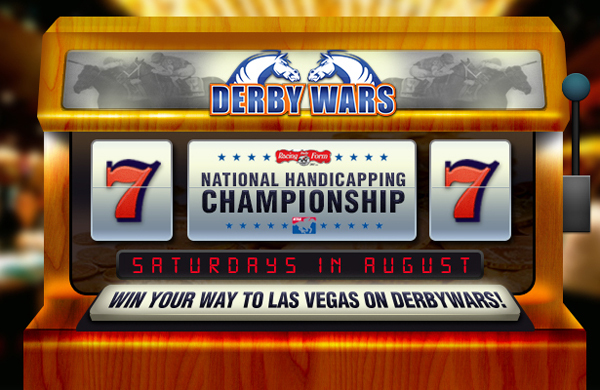 The next DerbyWars NHC Qualifier will be hosted on Saturday, August 10. Eight of the eleven spots in that tournament have already been filled, leaving only three remaining open seats. To earn a chance to compete in Saturday’s tournament, players must win a prequalifying tournament. Prequalifying tournaments are held daily on DerbyWars, including two scheduled for Thursday, August 8, and one for Friday, August 9. Snapchat will inform you concerning it. So SnapChat caring about it’s user’s privacy.Snapchat is straightforward being used.If somebody takes a screenshot of your breeze.